For a while, there was an interesting little method for revealing the full name of 3rd degree and group connections on LinkedIn. However, LinkedIn has changed the “get introduced” functionality and UI for most people and effectively eliminated that method (albeit unintentionally, IMO). Oh well – it was easy and fun while it lasted. Fortunately, I’ve recently become aware of another way of revealing the full names of 3rd degree connections on LinkedIn with a less-than-premium account that I would like to share with you. But before we get to that, I’d like to cover some basics as well as some things I have been noticing about LinkedIn – I believe they may be tinkering with free access profile visibility. Oh, and if you’re on the fence about attending SourceCon in Atlanta next week, it’s shaping up to be the largest in SourceCon history, and you still have time to register and get a 10% discount using my SC12GC code. Now that the nifty “get introduced” full name visibility trick is seemingly dead, people without LinkedIn Recruiter access can of course still grab one or more unique phrases from 3rd degree and group-only LinkedIn connections and throw them into Bing or Google to find their public profile and thus their full names. You can do the same thing with Google, but Google’s first result isn’t the profile we’re looking for – that’s why I favor Bing for this technique. Google seems to index all of the nooks and crannies of LinkedIn yielding “dirty” and irrelevant results when searching for LinkedIn profile word/phrase combinations. Is LinkedIn Tinkering with Public Profile Visibility? I am sure I am not alone in noticing changes to the standard LinkedIn X-Ray search results. For example, while you could see the full names of 3rd degree and group-only connections after clicking on a search result even if you were logged into LinkedIn, now I am finding that if I am logged in, once I click on a Google or Bing LinkedIn site: search result, LinkedIn recognizes that I am not connected to the person at the 1st or 2nd degree and thus only shows me the first name and last name initial. I know for a fact this has not always the case – I’ve been training people on this for years and I’ve done this 1,000’s of times. No – but I still find it interesting to notice changes like this because it means what we have all been wondering about (fearing?) may finally be coming – evidence that LinkedIn is working to limit or close off free access to LinkedIn data. 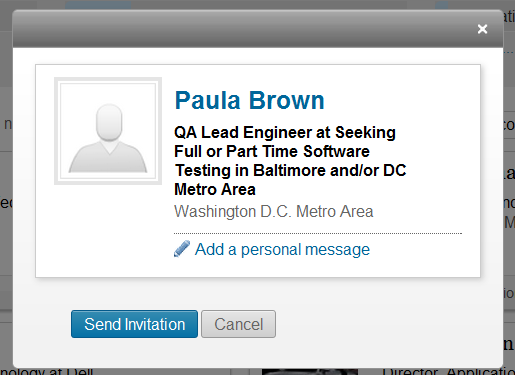 In fact, I’ve also been running into some seemingly random funny business with LinkedIn public profile URL’s. I have encountered a number of instances in which I’m using either Chrome or IE and I click on (or cut and paste) a public profile link, LinkedIn tells me that the profile is not found, when I know it does exist because I just looked at it. So far, there is no pattern to it that I can tell – and I have only begun to notice this in that past few weeks. I am not sure what it is indicative of, but wondered if anyone else has encountered this and might have some insight. Last week, Patrick Ryan, a former colleague with whom I stay in touch, sent me an email with something he had discovered on LinkedIn. I asked him if he minded if I wrote about it and he said no, so here we go. 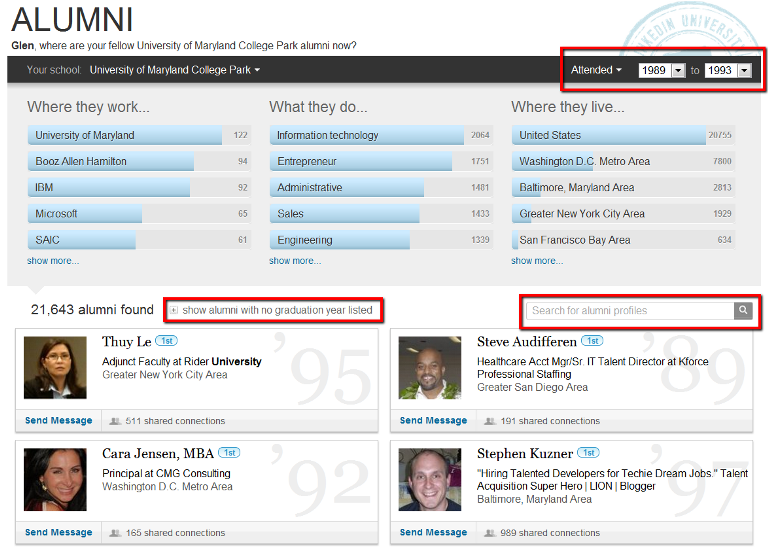 If you scroll down your LinkedIn home page, you’ll find the “Just joined LinkedIn” section with Colleagues and Alumni. If you click on the school name under Alumni, you’ll be taken to an attractive dashboard with some interesting information. From here, you can change the years attended, show alumni that don’t show a graduation date, and of course search. If you click on “Connect” and you’re using either Chrome, Firefox or Safari (not IE – sorry), you’ll get a pop up that will allow you to send the person an invitation, and it will also show the person’s full name. Sure, it’s limited, but let’s just say you can similarly search through any school that’s in the education section of your LinkedIn profile. Oh, and each school as a school ID. For example, mine is 18570. You don’t need to have a premium LinkedIn account to view any public profile and see the full names of people who are not 1st or 2nd degree connections. 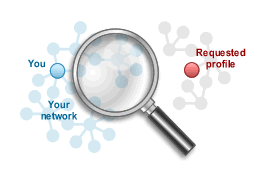 However, it’s not safe to assume that the ways in which we can currently search for and view the information on LinkedIn profiles beyond our network will remain unchanged. In fact, I believe we can expect LinkedIn to develop ways that limit the ability to find and view certain info on LinkedIn profiles for free – and why shouldn’t we? LinkedIn isn’t a non-profit, and just as any other for-profit company, it’s their prerogative to look for ways to make money and to reasonably limit giving away too much for free. 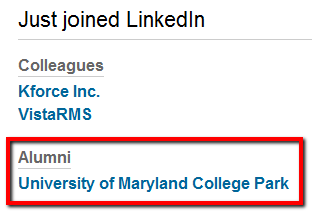 Will LinkedIn read this post and change the ability to view full names of 3rd degree connections via alumni search? Yes, they will read this post (Hi LinkedIn team – special shout-out to the Ninja!). Maybe they will do something to change the appropriate functionality. If they do, I’m happy to have helped. Oh – and be sure to check out the comments. Several readers offered other ways of revealing the full names of 3rd degree connections on LinkedIn.